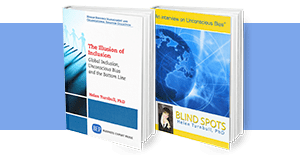 Our international diversity and global inclusion experts help organizations leverage diversity, ensure unconscious bias is removed and embed an inclusive environment. Dr. 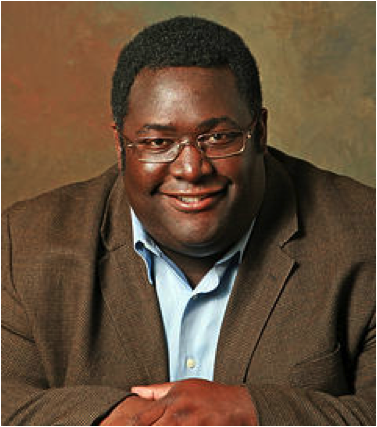 Keen is a Senior Associate Consultant at Human Facets®. 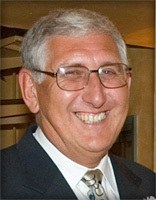 Terry initially worked as a Physicist at the University level. He undertook research in “Electron Mobility in Semi-conducting Materials”. However, a long standing interest in Psychology led to a degree, and a few years later, a Doctorate in Psychology. He has published widely in the academic world including two Psychology books and a suite of computer programmes (jointly with others) to analyse repertory grid cognitive appraisal systems. Having served as Chief Executive of three different corporate bodies he started his own Management Consultancy Company where he used his specialism, namely “Improving Human Performance” to work with Corporate and other clients in Europe, the USA and South America as well as in the UK. As a consultant in his own right he has regularly formed close associations with others, where the combination of skills from both partners has proved, not only enjoyable but extremely effective. He has led, or worked on several British Government missions to Venezuela, Colombia, Mexico, the former USSR, Bulgaria and Israel. Whilst his client database includes work with Human Facets® clients such as Texas Instruments, Raytheon, JP Morgan Chase and Baker Hughes Oilfields in the USA, he has also worked extensively the United Kingdom and elsewhere in Europe. He is an excellent presenter, and this, linked to his reputation and research in Personal Construct Psychology, has kept him busy. He regularly presents at Conferences and continues his research with colleagues in Norway, the USA and Australia where his eldest son and daughter-in-law now live permanently. Terry lives in the UK but travels extensively. To relax Terry played competitive tennis, and more recently has become a keen golfer. As an Ocean Yacht master and a Private Pilot he remains active on the sea and in the air. 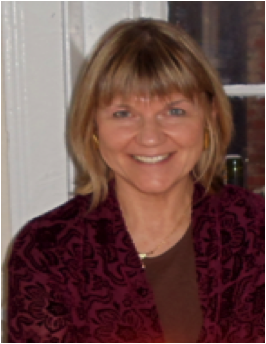 Barbara Berry is a Senior Associate Consultant with Human Facets®. Barbara specializes in delivering targeted interventions that improve organizational functioning, and in the provision of developmental services designed to improve organizational productivity. In addition, Ms. Berry frequently consults in the areas of diversity and inclusion, leadership development, team building and management skills development. As an organizational development consultant with over 25 years of experience, Ms. Berry provides services to non-profit, public and private institutions. Her work in the area of workplace diversity includes the design, management, and implementation of multi-faceted interventions, specifically designed to meet organizational needs. She has effectively deployed large scale organizational projects with more than 75 facilitators, crossing numerous departments and divisions within an organization. Ms. Berry has successfully created and directed training programs on a global scale in the United Kingdom, Latin America, Canada and in the United States. Ms. Berry’s background includes teaching, addiction counseling, and outreach training for troubled adolescents and homeless women. She has also managed alcohol abuse prevention and education programs, the in-service training functions of a national youth organization, and directed the career counseling and training functions at a major long term health care facility before establishing her consulting practice. Ms. Berry holds a Bachelors of Arts in history and secondary education from Queens College, CUNY. She has received training in organizational development through the Drug Dependence Institute at Yale University and graduate studies at Hunter College, CUNY. Her professional affiliations include the American Society for Training and Development and the Organization Development Network. Ms. Berry’s current and past clients include Du Pont, AT&T Corp, Lucent Technologies, National Westminster Bank, Delaware Trust Company, Bank Boston, J. P. Morgan Chase, Lehman Brothers, Freddie Mac, IKON Office Solutions, Nassau County AHRC, Brookdale Center on Aging of Hunter College, Delaware Trust Bank, Digital Equipment Corporation, Health and Hospitals Corporation of New York, Meridian Bank, National Westminster Bank, New York City Department of Personnel, New York Foundling Hospital, Brandywine Senior Living, Purdue University and Harvey Mudd College. Patricia is a Senior Associate Consultant with Human Facets®. Nine years of a 20-year record of contributing to global inclusion at an individual, group and organizational level, has been with Human Facets®, LLC, working in the US, and the UK. This work has entailed addressing unconscious bias through carefully crafted approaches to help people reflect on assumptions, judgments and impact as individuals and as participants in group settings. The work was carried out through long-term Human Facets® clients: IBM, JP Morgan, JP Morgan Chase and Citigroup. In-depth knowledge of personal construct psychology was gained over a year in weekly seminars by Maureen Pope while attaining a Masters degree at the University of Surrey, UK and being part of the research for Dr. Turnbull’s dissertation. The past twenty-years has also included working internationally in the areas of diversity management and inclusion, diversity and career development, and learning system change for USAID, USAID contractors, US Embassies, the South African government and South African universities and NGOs, international contractors, and independent contracting. Participation in change management for inclusion at an organizational level has been through various roles including mentoring and coaching, research, business plan development and working with stakeholders. Working at the group level has included diversity facilitation and training in the areas of unconscious bias and global inclusion skills, as well as strategic planning and team-building for multicultural groups. Individual level work has mostly focused on diversity and career development coaching and counseling and training lay-counselors in lay-counseling and coaching skills. Deat’s business, coaching, and consulting background extends over a period of two decades and across three continents. With experience in technology, retail, government, healthcare, education, and humanitarian non-profit management, Deat has worked on-the-ground with executives and leadership teams. As an Associate Consultant with Human Facets Deat has worked on many Diversity & Inclusion projects including Texas Instruments, JP Morgan Chase, AT&T and IBM. Deat has a Doctorate in Organization Psychology, an M.S. in Business and Industrial Management Counseling, and a B.A. in Psychology. He has also received certification as an Appreciative Inquiry Practitioner & Coach. He is a recognized expert in organization change and human systems, and is the creator of numerous professional tools related to Feedback, Leadership Intelligence, Human Systems, and large scale change. Dr. LaCour has a passion for leadership development through education, performance feedback, and coaching. Prior roles have included organizational development, change management, human resources, training and development and business process engineering. He has also worked with various educational institutions, including American University, where he has taught as a faculty member in the Department of Organization Development. Deat has been a member of the American Psychological Association, American Counseling Association, and the American Society for Training & Development. He serves as member and faculty of the NTL Institute of Applied Behavioral Science, an international organization empowering people, groups and systems for social justice, self mastery and improved human interactions. 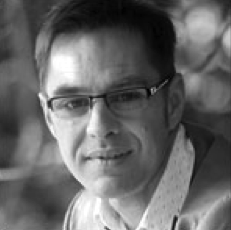 Dr. Matthias Rosenberger (Dipl.-Psych.) 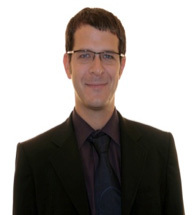 is the CEO and owner of the elements and constructs GmbH – psychological solutions in Leipzig, Germany. He is also chairman of the Brentano Institute for applied categorical science e. V. and scientific director at permitto gmbH, Wiesbaden. Besides that he is a member of the European personal construct association (EPCA). His main activities are developing new methods (including psychological software), coaching and consulting in VUCA worlds (Volatile, Unstable, Complex and Ambiguous) and opinion research. Andreas Kaufmann, Austrian, graduated in International Business and Economy at the University of Innsbruck where his thesis focused on micropolitics during the process of internationalisation. As part of his studies in Educational Science, he completed a project on intercultural training, dividing his time between Zaragoza, Spain and Paris. Senior consultant for strategic change and post-merger/acquisition integration processes. Facilitation of senior management team seminars, individual coaching sessions for senior executives and implementation of processes for leadership alignment and behavioural change. Clients such as INSEAD, Rexam, sanofi, Gilead, EADS Telecom, Astrium, Areva, Chronopost, ECK (a Polish energy producer), Geopost, DPD, Chiron BioPharmaceuticals, Air France KLM, TTE and Faurecia. Consultant for Elements and Constructs. Roll-out of Repertory Grid Assessments and Coaching. Preparation and support for employees working abroad. Advisory service to the HR community on how to integrate D&I into the HR employee life cycle. Master in European Law Barcelona / Spain: LL. 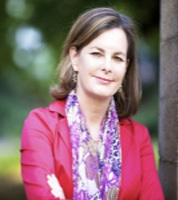 M.
Suzanne Price is an expert at designing, facilitating and implementing Diversity and Inclusion training programs and initiatives with a wide range of experience working for multi-national organizations across industries in Asia, USA and the UK. In 2003, she founded Price Global, a change agent specializing in Diversity and Inclusion, Developing People and Wellness. Suzanne is based in Tokyo providing services throughout Asia Pacific. In 2012, she received the British Business Award for Entrepreneur of the Year from the British Chamber of Commerce in Japan. 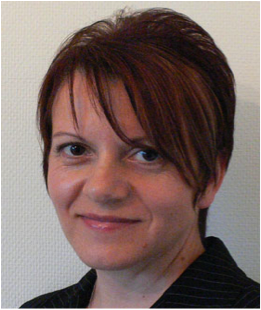 She began her professional career with 12 years as a Clinical Mental Health Professional and Psychotherapist in her native UK as well as in Japan, USA and Australia. Suzanne transitioned into organizational development in 1999 while living and working in New York City, adapting her application of Gestalt psychology into coaching, group facilitation, and training. Contact us directly at (954) 370-6343 to find out how we can help.